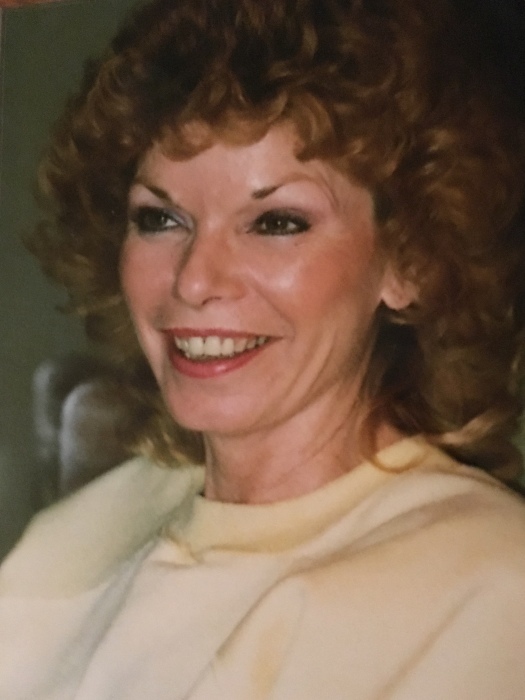 Doris Maxine Garroutte (a/k/a Dusty) passed away unexpectedly November 2, 2018, in Ponca City, Oklahoma, at the age of 83. Dusty was born to John and Beulah Garroutte at Fairfax, Oklahoma, on November 9, 1934. Her parents preceded her in death. Just one month prior to her death, Dusty enjoyed a last reunion with her family. She is survived by her three brothers: Wayne Garroutte of Carney, Oklahoma; James Robert (a/k/a Buddy) Garroutte and wife Carolyn of Hot Springs, Arkansas; and, John Lee Garroutte and wife Jerene of Grand Island, Nebraska. Her two surviving sisters are: Geneva Garroutte Cross of Ponca City; and, Christine Garroutte Gaddis who resides in McKinney, Texas. Dusty leaves behind several nieces and nephews, and her precious pet, Reece, who she loved so much. Dusty’s early years were spent on a family farm in Osage County, Oklahoma. She was brought up in a Christian home and she loved Jesus. In her later years she preferred to worship quietly at home and that is what she did. Dusty received her formal education at Burbank and Ponca City Public Schools. She later studied modeling and participated in Dale Carnegie public speaking classes. She also pursued a course in catering and food management along with studies in bartending. These interests led her to positions as Catering Manager for the Ramada Inns in the Dallas, Texas area and Phoenix, Arizona. Dusty moved to Lubbock, Texas, when she was in her 20’s. There she met and married Paul Morton. Later, she married Frank Garrison who was a corporate attorney for the Freightline where she was employed as a Switchboard Operator. Dusty never had children, but she loved her nieces and nephews as if they were her own. She was known by a variety of nicknames, depending on who was talking. Her Dad referred to her as Macky, her nieces and nephews called her Aunt Dodo, and one day someone casually called her Dusty, which she liked and informally adopted as her name. Dusty took an interest in the horse races and often accompanied friends and family to the races in Nebraska and Arkansas over the years. She also loved to dance and always enjoyed a good party. Final arrangements are under the direction of Amy Stittsworth Funeral Home, Enid, Oklahoma. A private memorial and celebration of her life will be held at a later date. Remembrances may be shared online at www.stittsworthfuneralservices.com.